The second day of the annual Consumer Electronics Show in Las Vegas brought a fresh round of announcements sure to intrigue Apple fans, including an update on the world's first iOS-connected robotic printer and a selection of new data storage devices. 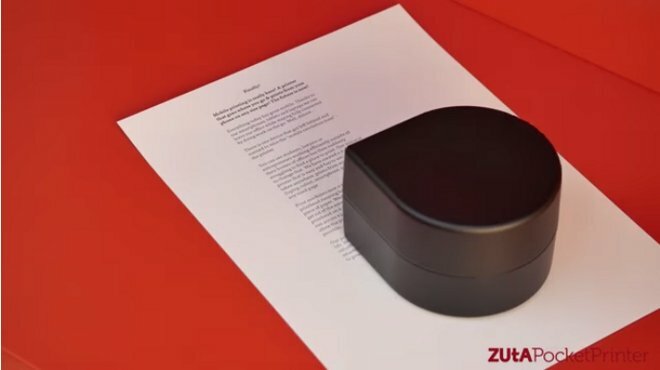 Zuta's pocket printer is a palm-sized unit that can connect to any device— including Apple's iPhone or iPad —via Wi-Fi and print without the need for a bulky supporting apparatus. The 10-centimeter-by-8-centimeter printer weighs just 350 grams, including a battery that the company says is good for one hour of printing. The printer supports any paper size, and launch units will print up to 1.2 A4 pages per minute in grayscale. The included ink cartridge will suffice for up to 100 sheets before needing replacement. Zuta's pocket printer is available for pre-order now for $199.99. OWC's Viper Pro is a new line of SSD-based external hard drives that sport dual Thunderbolt 2 ports, which the company says can push transfer speeds up to 1,400 megabytes per second. 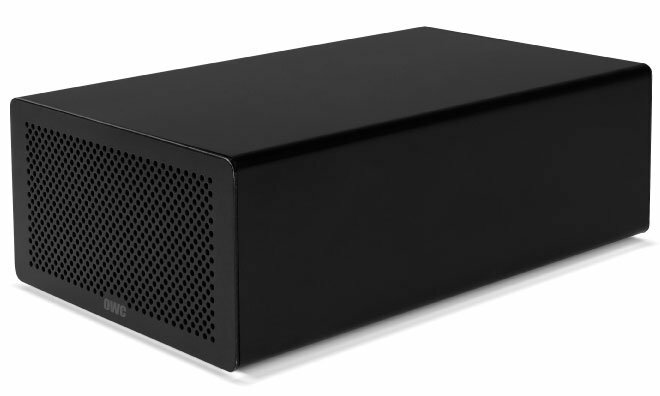 The drives will be available in 4-terabyte and 8-terabyte capacities, and users will have the option to purchases a RAID edition preconfigured in RAID 4. The Viper Pro's chassis is made of aluminum and features a variable-speed fan for cooling. Additionally, the drives support Thunderbolt passthrough, meaning users can daisy-chain additional Thunderbolt devices before or after the Viper Pro. OWC has yet to announce pricing or availability for the new drives, but will reveal more details later this year. Antenna79's Reach79 iPhone cases are designed to enhance signal reception for Apple's iPhones, and the company promises increases up to 2x. 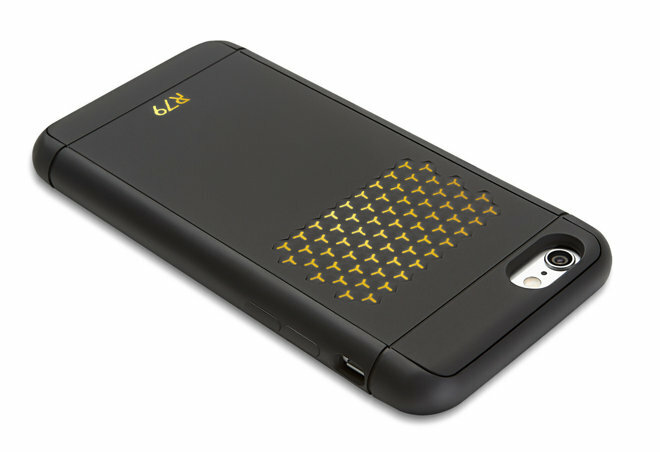 The cases come with an embedded "micro-thin, gold-plated antenna" that works via "passive coupling" with the device's built-in antenna. In addition to improving signal strength, Antenna79 says that the Reach79 cases are designed to protect against drops of up to 6.6 feet. Reach79 cases for the iPhone 6 are available now for $59.99, or $69.99 for a version that fits the iPhone 6 Plus. 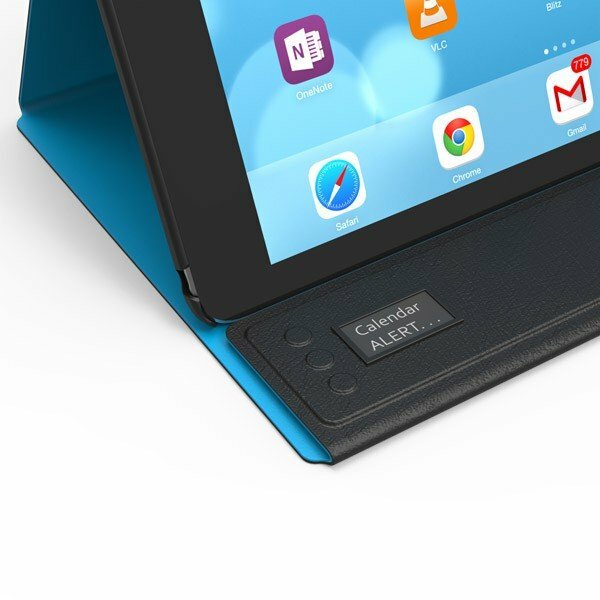 Incipio's Prompt folio is a case for Apple's iPad Air 2 that sports a built-in OLED screen that can be used to display text-based alerts, much like those you might receive on a smartwatch. Prompt connects to the iPad via low-energy Bluetooth, and Incipio says that a built-in battery can power the screen and Bluetooth transceiver for 7-10 days at a time. A free companion app is needed to enable the notification functionality. Additionally, the case can be folded to prop the iPad up for hands-free viewing, or laid down for a more comfortable angle for typing. Incipio's Prompt folio will be available later this year for $89.99. 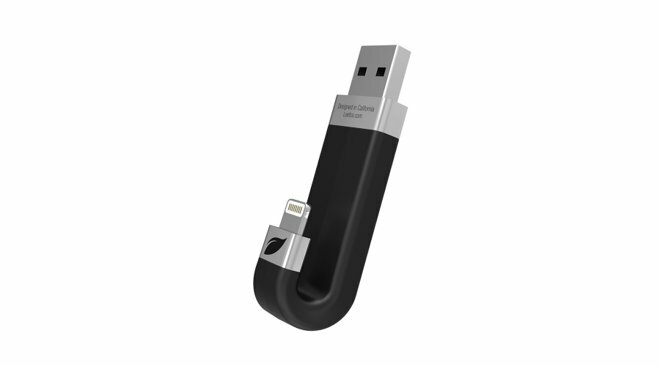 Leef's iBridge is an external storage device designed to work with Apple's iPhone and iPad. It sports a Lighting connector that can be plugged directly into Apple's Lightning-equippped offerings and is available in capacities from 16 gigabytes to 256 gigabytes. A free Leef iBridge app is required to read data from the iBridge on an iOS device. A built-in Hi-Speed USB connector also allows the drive to be used on Macs and PCs. Leef's iBridge will ship in mid-January and start at $59.99.